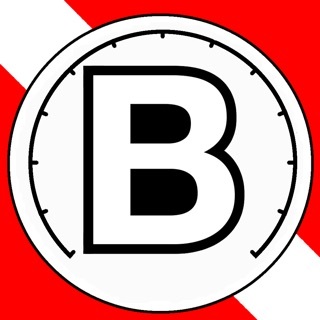 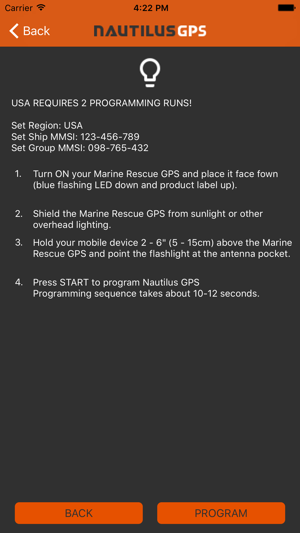 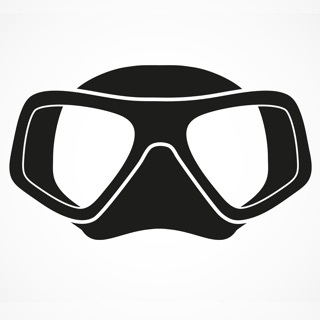 The Nautilus GPS App uses your iPhones camera flash to set an MMSI number into your Nautilus Marine Rescue GPS. 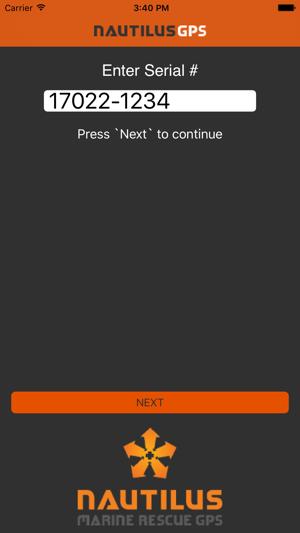 This enables your Nautilus GPS to send Man Overboard messages to your dive boat for up to 30 minutes in addition to sending an emergency distress signal on AIS. 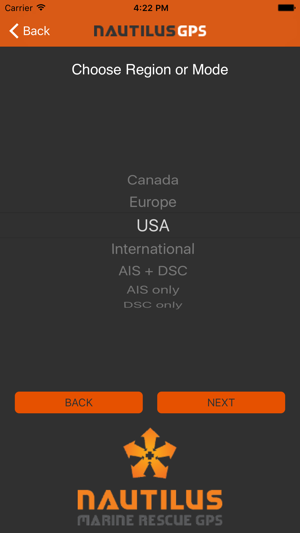 You can also choose the operating mode of the Marine Rescue GPS to use either AIS (Automatic Identification System), DSC (Digital Selective Calling), or both AIS and DSC. 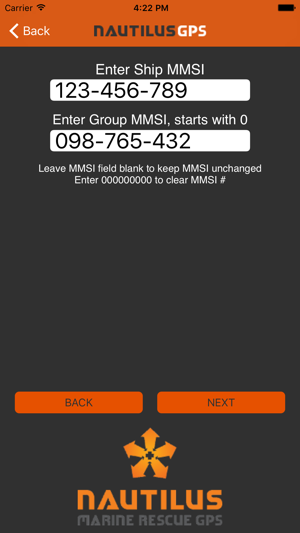 Note that no MMSI Number is required to operate the Marine Rescue GPS.